limate change is having wide-reaching impacts in Hawaii, the broader United States and throughout the world. 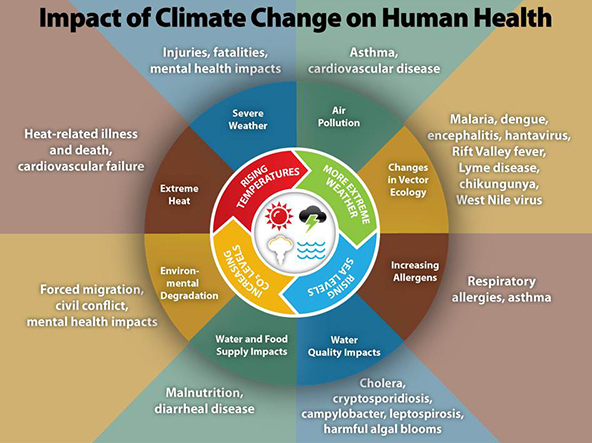 In order to mitigate and adapt to the serious impacts that scientists anticipate, various DOH programs are taking climate change into account as they move forward with their work. DOH’s Clean Water Branch is planning to conduct studies to examine the effects of changing weather patterns and ocean chemistry as a result of climate change. The Safe Drinking Water Branch is working to update its Water Quality Standards. To help alleviate future water supply uncertainties related to the changing climate, the Wastewater Branch is working on updating its Guidelines for the Treatment and Reuse of Recycled Water, promoting more water reuse for activities such as landscape irrigation. Water reuse helps to reduce the pressure on drinking water supplies. This is particularly important; some Hawaii drinking water wells have experienced increased salinity and are expected to undergo further increases as sea levels rise. The HEER Office has initiated mapping and research to identify priority areas where pending sea level rise may increase hazards from known in situ contamination. Many known contamination sites in Hawaii lie within 2 miles of the ocean. Mapping techniques will compare projected local sea level rise, over time, with current locations of contaminated soil and/or groundwater. 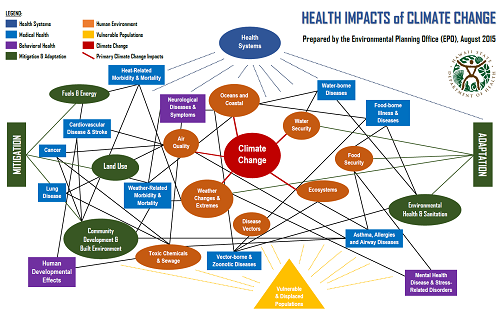 DOH EHA Climate Change Initiatives – EPO overview presentation. In addition, DOH is working with other agencies and groups throughout the state to increase collaboration, streamline decision-making processes, and promote information-sharing related to climate change. Together, we can elevate awareness of environmental impacts and the need for adaptation. 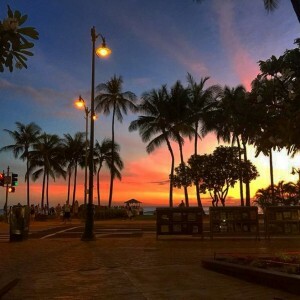 The State of Hawaii is in the process of developing policies and plans for climate change adaptation that will apply to many of the State’s agencies. The Governor, State Office of Planning, and the Department of Land and Natural Resources are taking the lead on developing these policies. The National Oceanic and Atmospheric Administration (NOAA) provides data and information on climate to help people evaluate the risks and opportunities posed by climate change. President Obama took the biggest step yet to combat climate change in the U.S. by finalizing America’s clean power plan, which sets the first-ever carbon pollution standards for power plants. The Climate Change Action Plan was set forth on August 3, 2015. The Intergovernmental Panel on Climate Change (IPCC) released a Synthesis Report of its Fifth Assessment Report (AR5) on November 1, 2014. The Synthesis Report incorporates the findings from three working groups that contributed to the IPCC AR5. The IPCC also recently published a report entitled Climate Change 2014: Impacts, Adaptation, and Vulnerability. As chapter 29 of the report discusses the implications of climate change for small islands, it relates directly to Hawaii. Information on international efforts to reduce climate change can be found on the United Nations’ website. 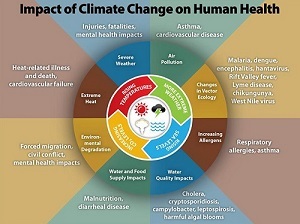 The Hawaii Public Health Association (HPHA) has analyzed the public health impacts of climate change, both on their website and in legislative testimony.